So, another year, another list of awards to dish out. And this is where I have to get choosy. Normally, no matter how hard I try to be objective, the temptation is always there to say “Didn’t they all do well?” Not here. This time, there can only be one winner per category no matter how much I’d like to be nice to everyone. Now, before anyone on this list gets too excited, a reminder of the rules. This is a set of awards with the largely arbitrary entry criterion that it needs to have been a play that I saw in 2013. It has a judging panel of one, that person being me, with the sole measure being how much I enjoyed it. If it’s any use, by “enjoyable” I mean stuff which I find intelligent and/or original without and still be fun to watch. In general, productions I’ve already seen in previous years are not eligible unless they have substantially changed. Quite a lot of good Festival Fringe plays are contenders here, too numerous to list because I’d be bound to forget one. I was even seriously tempted by Elephants and Coffee, one of Bite-Size’s new 10-minute plays introduced this year. But after much careful consideration, I’m going for Alastair McDowall’s Brilliant Adventures at Live Theatre. I must emphasise this is not simply because he’s already won a major prize for new writing. I frequently complain about over-hyped writers, and even with Alastair McDowall’s two plays this year (Captain Amazing being the other one), I have some reservation that he sometimes makes the audience work too hard. But he has my respect for the very bold gamble he took. It’s a lot harder than most people think to write a play about a home-made time machine and have it taken seriously, but he managed to pull it off. Plenty of new writers are over-hyped, but on this occasion, the hype is deserved. Stephen Mallatratt’s The Woman in Black would have won this category hands down were it not for the fact I’ve seen this play before, and therefore it is not eligible for consideration. With that play out of the running, Deborah McAndrew came pretty close to scooping this for the second year running with The Grand Gesture. Although the story didn’t flow quite as well as last year’s masterpiece, A Government Inspector, it’s still a great example of how well you can make an old play look like it was written for a more modern setting. But, on balance, I think I’m going to give this to The Trials and Tribulations of Mr. Pickwick, a lovely solo performance based on the final story of The Pickwick Papers. With Nigel Nevinson playing the titular role, you could almost believe the part of Mr. Pickwick was created for him. The solo performance is often applied to stories where this format is unworkable, but this one pulls every trick in the box to restore your faith in the one-man show. This is a new category in recognition of a number of excellent productions I’ve seen that were neither new writing nor adaptations. And whilst I’m open to highly successful shows that have been touring for years, I’m even more interested in obscure plays that have been rediscovered. This year, there are two faithful productions that particularly stuck in my mind, and the runner-up is the Rose Theatre’s production of The Vortex by Noël Coward, a lesser known play that I think deserved much wider acclaim. But the winner is Northern Broadside’s production of Githa Sowerby’s Rutherford and Son. Like The Vortex, this is a largely forgotten play that has only been rediscovered recently. Northern Broadsides weren’t the first production to rediscover the play, but it must surely be one of the best. Yes, it may have been entirely in their comfort zone, and they did have the advantage of artistic director fitting the role of John Rutherford perfectly, but this added together to form an excellent play. This is my other new category, in recognition that the lighting, sound, props, scenery and so forth can contribute to a production just as much as the writer, director and actors. By most effective staging, I’m not that bothered about the flashiest special effects offered at the most expensive theatres, but very effective use of staging that adds to the story – that can be anything from mega-budget sets to techno-extravaganzas to simple but effective ideas. If this award was instead “most effective scenery”, I would give this to Henrik Ibsen’s Ghosts at the Rose Theatre, Kingston. The set was meant to be based on the design envisaged by Edvard Munch; I don’t know how close it was to Munch’s vision, but the bleak set certainly did a wonderful job setting the mood of the bleak play. But at this award also takes into consideration lighting, sound and props, I think From Where I’m Standing pips them at the post. Although the script itself was only above average, what made this play a gem was the most innovative stage management I’ve seen for years: lighting, sound, set and some excellently choreographed use of tablets. What’s more, this was done in a Fringe environment where the time available to arrange these special effects is minimal. A lot to be proud of there. Now, this was a tough one, because there were a lot of outstanding performances I’d like to give credit to. Apart from Barrie Rutter’s performance as Rutherford and Nigel Nevinson as Mr. Pickwick (see above), there was a rare appearance from the comic acts in the form of Rob Pickavee as the horribly egotistical Victor Stark in The Grand Gesture. In second place has to be Sian Weedon as Shirley Jones in Jordan. But the unbeatable performance has to be Faye Castelow as Ruth Ellis in The Thrill of Love. I don’t know where to begin on this. It’s never entirely down to the actor: they can only be exceptional if they have a script and director that allows them to be exceptional, but exceptional it was. Probably the best way I can sum this is up is by saying this play explains very well why the hangman described Ruth Ellis as the bravest person he’d ever hanged. Unlike last year, when there were two clear front-runners miles ahead of the competition, this time it was a more even-handed affair. A lot of plays at the Brighton, Buxton and Edinburgh Fringes could have made decent contenders here. I could list them, but you may as well go through my roundup articles and read them there. Anyway, after much consideration I came to to a tie. And on one side of the tie is Jordan again. But there can only be one winner, and the tie-breaker is decided by who had the more original production. So the title goes to the Foundry Group with Big Daddy versus Giant Haystacks. I saw this before in 2011, but they’ve worked a lot on the production since then, built on what went well, and corrected the bits that weren’t working out. Watching two overweight men pretend to fight each other has never been so much fun. This is an award for a group that’s new, or at least one I’d never heard of before. It needn’t be a fully polished production, but it does need to be a promising sign of great things to come. And this year, the winner by a considerable margin is Sandpit Arts with Tunnel, a play set in a collapsed tunnel under the Gaza-Egypt border. This could easily have been a tedious piece of political theatre arguing over the same decades-old tired arguments, but instead it was a very interesting insight into people who are sick of the conflict and just want to get on with their lives. As well as this, it was excellently choreographed and very effectively staged. Only thing that somewhat let this down was an over-complicated storyline that was difficult to follow. But that can be fixed, and if they do, they will show a lot of promise. Alan Ayckbourn once said that you sometimes get less than you deserve, and sometimes get more than you deserve. I aim to recognise the former, because many productions get small audiences or mediocre reviews when I think they deserved a lot better. And this year it goes to The Day After the Fair at the Royalty Theatre. It’s a good play, and directed with someone who understood the play and appreciated that all the pauses and inflexions in the script are there for a reason – something that is all too often ignored in amdram. Unfortunately, this drew the short straw on the calendar and got performed in the middle of the cold snap last January, which did no favours for the audiences figures. And that is a pity, because it was well worth braving the sub-zero temperatures. As for the latter category, the play that got more than it deserves, that is my secret award known as the “How the hell did that get five stars?” award, not for public disclosure. If you want to know that, lace me with alcohol and I might tell you between my third and fifth pint. Although I try to get a good feel for which plays are going to be good, some plays defy expectations. This year, the clear winner for an unexpectedly good play is The Devil and Billy Markham from Theatre Someone. I had no reasons to have high or low expectations about this group as such – what was unusual was their low-key approach to the Edinburgh Fringe. At a festival where it’s normal to run for a month in a venue with full sound and lighting capabilities, it’s almost unheard of to have a play that runs for two days, in a function room of a social club, with no lighting, sound or scenery – just two actors and a blues guitarist. And yet this produced one of the most enjoyable things I saw at that year’s Fringe. The moral: you don’t necessarily have to spend megabucks to take part in the Edinburgh Fringe. Other companies may want to look into this. 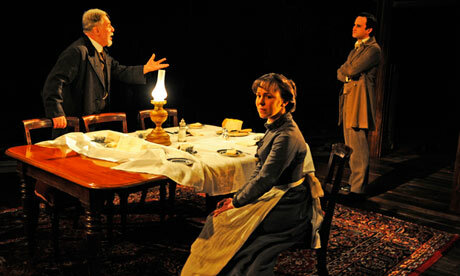 Springs Eternal by Susan Glaspell, Orange Tree Theatre. And it deeply pains me to say that, because the last Susan Glaspell play produced by the same theatre, Alison’s House, was wonderful. There was nothing I particularly disliked about Springs Eternal: the acting was fine, the staging as costumes reflected the period well, and Susan Glaspell wrote a play about the sensitive issue of conscientious objectors without ramming her opinions down other people’s throats. But even so, this play was probably doomed from the start, because the lengthy discussions about the finer points of this issue, poignant though they may have been to people in 1943, was completely lost on a modern audience where mass wartime conscription is a fading memory. In fairness to the Orange Tree, they didn’t have any easy alternatives here. Having established themselves as the definitive place where the forgotten plays of the Pullitzer-winning playwright are rediscovered, it would have been difficult to start discarding some of her plays as not worth reviving. But they could probably have managed expectations a bit better. When it’s a play that dated, you don’t do it any favours by promising it’s more relevant now than it’s ever been. This category is for recognition of anything not covered by the above categories. 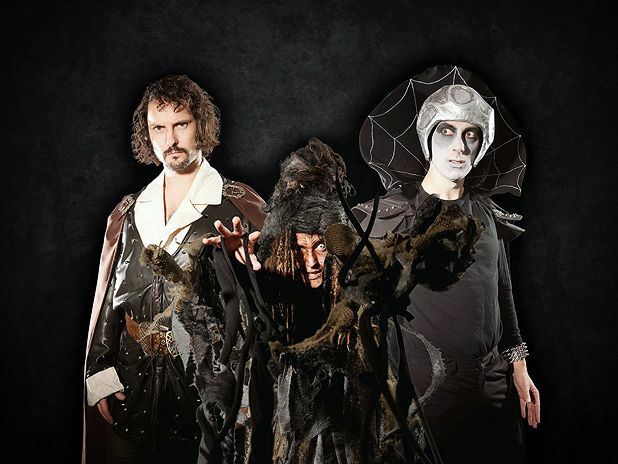 And I think this has to go to Knightmare Live! Apologies to anyone who wasn’t a teenager in the early 90s, but anyone who was will understand why this brings so much delight. But before anyone dismisses this as frivolous bums-on-seat fodder, this was not an easy task at all. Apart from the obvious practical difficulties of recreating a CGI dungeon on a real stage, this was a production where the dungeoneer and two advisors come straight into the performance without attending any rehearsals (just like the real Knightmare). This required a very talented ensemble of actors/comedians to improvise around everything that happens and keep the audience cheering away. It could so easily have been a flop if done badly, so well done here. It was a tough choice, but in the end I’ve gone for The Thrill of Love. 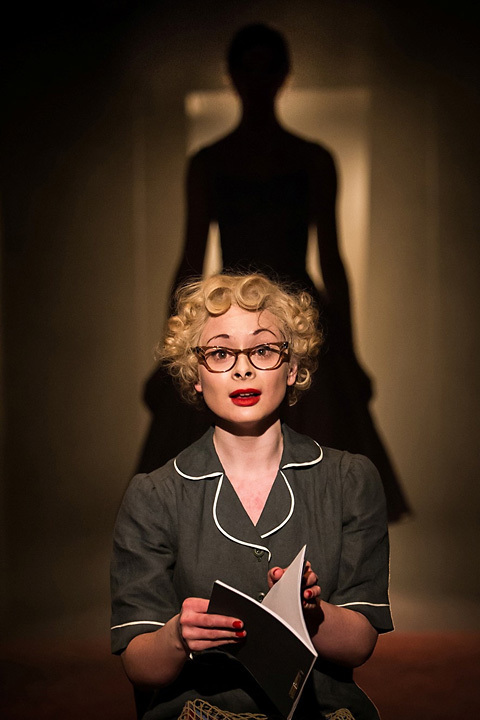 Although this play is hard work to watch if you’re not already familiar with the Ruth Ellis story in some detail, it is probably the best all-rounder out of all the plays I’ve seen. As well as Faye Castelow’s incredible performance, it had a good script from Amanda Whittington, excellent staging from the New Vic Theatre Company, and an exquisitely choreographed performance from director James Dacre. And this was the play I most went out of my way to recommend after seeing it. This play started off with a run on just the New Vic and the Stephen Joseph Theatre. It then got a five-week run in London. But most people don’t live near Newcastle-under-Lyme, Scarborough or London. Really hope the New Vic tours this next year, so as many people as possible have the chance to see it. Many thanks for the “Well I liked it” award! Coincidentally, my next directorial role at the Royalty is The Thrill of Love. Looks like I’ve got plenty to live up to, but I like a challenge.